We’ve been talking about video games for quite a long time, so I figured I should hold off for a little bit before we delve deeper into the uncanny secrets of the video game development industry and just talk about music for a little bit. Thing is though, I always like to write articles regarding topics that people “think” they are aware of, when in reality, they really aren’t. So with that in mind, let’s talk about one of those defining tricks a music track can use to stick itself into the back of your mind. 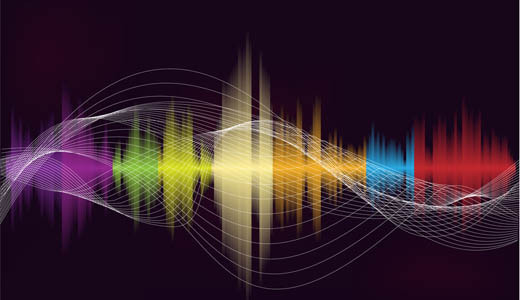 Frequencies have been scientifically explored, time and again by all kinds of branches of the scientific world, be it psychologists, musicologists or physicists. Frequencies are the very essence of sound and thus music itself. It’s all these explored variables that have helped us evolve so much during our journey of exploring the musical boundaries and the creative use of the spectrum available to human ears. Just because we know it’s a sine wave, just by knowing the form of the sound we are listening to at each given time by identifying it through scientific means, we are already so far ahead and also thinking about the next step. What’s the use of it? How do we actually make good use of that knowledge in the end? Well that’s simple. Electronic music as well as ambient music are a couple perfect examples of great use of the aforementioned knowledge. That’s where all the branches collide though and make something even more tricky and interesting to think about. How can one make use of certain frequencies for psychological treatment methods for example, and how can one replicate that to have effect on all sorts of people. This kind of exploration has for hundreds of years now troubled lots of scientists and musicians alike since it’s an ever expanding topic and with along with the constant advancement of technology, there is always so much more to work on and with. This whole “frequency” thing basically started in the first years of humanity though. As soon as humans realized they can make sounds with certain movements and actions, they started exploring how to utilize those sounds to their advantage. That later of course got the to point where humans developed sounds into a form of art and kept exploring its limits non-stop from there on. But let’s be more specific. When did these things actually become really important to people that are not accustomed to music theory and/or science? The answer lies in history for that matter. Harmonizing is by far the best example one could give regarding the perfect alignment of different frequencies for the creation of something complex and yet still beautiful to the ears of even someone untrained in the form of the musical arts. From the ancient, Greek invented, modes on scales to the complex combination of tones in the Baroque ages in order to create chords with a certain “attitude” and feeling to them, harmonizing has always been around, lurking and intriguing people. Depending on the age and the standards of the times at hand in each case, harmony was conceived differently. There wasn’t always the same acceptance as there is now and there were lots of reasons behind that. People were ignorant, and that’s more or less the most important reasoning behind it. But let’s take a closer look at the more recent uses of harmony. Lots of people get used to listening to pretty much the same chords all the time, but few realize it that the songs that appeal to them the most are the ones that make good use of harmony as well as rhythm. The discussion about rhythm though will be done some other time since it’s a huge topic on its own. To sum up though, a great song has both interesting harmonies and interesting rhythm. A catchy song, is catchy because of the unusual beat it has during its chorus part or the really nicely sang verse by those two combined voices in the recording. Those are basically some of the “key” points in certain tracks. The peak of a song isn’t always the point where it gets the loudest, but lots of times the point that it introduces something in the mix that the listener didn’t expect. Here are some of my favourite songs that make use of that technique. Now, I have to mention that SoaD’s signature sound is doing harmonies almost all the time, but there are certain points in most of their songs that just go that extra mile. You can hear at 3:22 of Lost in Hollywood how the main singer sings behind the second vocalist making for a really interesting mix. Same goes at 4:35 in the same song. Árstíðir got lots of attention after a youtube video of them singing impromptu a hymn in an old train station in Germany went viral in 2013. The band has filled entire albums with beautifully composed tracks, but amongst those, Tárin is one that stands out for its ending part. At about 2:25, you can hear how the violins start harmonizing in such a way that they manage to create a really stressful atmosphere for the listener. Even if you don’t understand what the lyrics are saying, you still get the feeling, and that’s the beauty of harmony and music as a whole. Well yeah, obviously. How could this be missing out of this article. The part after 3:40 is some of the best combination of melodies you can hear in contemporary music. Yes, it’s pop, but whatever, don’t tell me it’s not stuck in your head still, even though it’s been such a long time since it came out. There’s a plan behind the track that just makes it what it is, which is an all-time hit. Well, that is all for this time, some other time I might mention some more examples of such tricks and also go a bit more in depth (maybe technical too) regarding certain musical techniques in composing. For next time, I’m preparing the guidelines for surviving in the indie video game business and after that some for musicians.